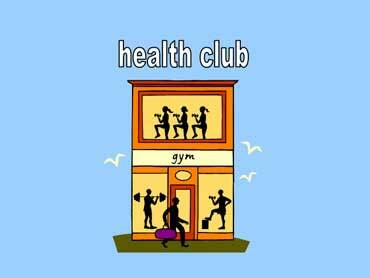 One of my favorite jobs these days is working with a great team at our local health club. It is in this role that we get to serve and support our members in various and often times, creative ways. What I love the most is seeing the effort the members make to become or stay healthy; it’s inspiring…especially those amazing folks who are standing at the door at 5:15 am! Wow! So what really is HEALTHY? These terms churn up many thoughts as I take inventory of my own life. Am I healthy? 1. Do I have a vigorous mind? do I allow concerns and fears to cause anxiety and restlessness within me? do I take the time to read, learn, dream, or try new things? 2. Do I have healthy recreations? do I give myself permission to take time away from my diligent work to regroup, refresh? 3. Is my life prosperous or sound? do I make intentional decisions to use my time in a way that prospers my family, faith , and finances? 4. Do I have a strong sense of well-being? Do I surround myself with healthy people? do I speak encouragements to myself or do I feel critical of who I am? Do I feel my life has value? 5. Is my lifestyle restorative? do I live a life that depletes me and those around me? do I run in a manic pace? or do I live life with a rhythm that allows me to work hard and yet still remain balanced? Being healthy is so much more than what you weigh, how big your muscles are, or what your BMI is…though these elements do matter there is such a broader sense of what it truly means to be a healthy person. Are YOU healthy? Ponder the questions I have asked myself and if you see a need to make some changes then bravely do so! Love this Sandy!! you inspire ME so much!! and I love that you are not only taking care of you but seeking ways to support others on their journey!! Amazing!! !